So you’ve opened your planner and you’ve scheduled yourself to write a piece on Medium. You open your laptop and you head on over and you open a fresh new canvas all ready to go. A few seconds pass by and still nothing on the screen. If you even remotely feel like this is you, then the following article is for you. Just by even utilizing one of the following tactics, by the end, you will have an effective method to get more ideas but not only that, you’ll have ideas and topics that are already proven to work. Let’s get into it. Did you know that in Twitter, you can make lists of people you follow. This way you can put your friends into one list, your family into one list, and whatever else into other lists. What you can do is find people who are influencers within your niche. Follow them all and put them within a Twitter list. Whenever you need an idea, you can just open your list and start scrolling and reading their content. The more ideas and perspectives you consume, the more you can mix and match ideas and remix them into your own original ideas. So start using Twitter lists to follow influencers in your niche and consume their content, remix their ideas into your own and write about them. 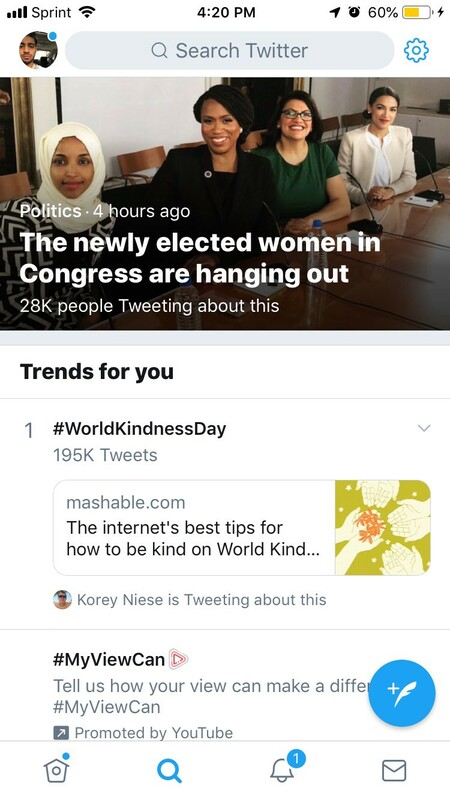 Another nice feature on Twitter is the Trending Page. Here you will find topics that are trending in real time. Since they are real time, there’s a lot of buzz for that certain topic and that presents an opportunity to get some more traffic to your blog post. If a certain topic is related to your niche, then you should write about it and contribute to the trending topic. Give a new angle on the topic or present a new solution to a problem. You can also get creative to tie the trending topic back into your niche. For example, my niche is technology and how to leverage technology to get things done. Below is a screenshot of what’s on the trending page as I write this article. I can get creative and write about how technology is helping to reshape the political landscape and how it has helped bring more diversity to Congress. I can tie it back into my business by showing how everyone can use technology to get things done. Ever wondered what a large majority of people were searching on Google at any given moment? Well, you no longer have to wonder. You need to head on over to Google Trends. This tool will show you what’s been trending for the last 24 hours but also gives a realtime feed of trending topics so you can instantly jump in on trends. For example, when I wanted to write a post, I headed on over to Google Trends and I saw that Elon Musk was trending. I thought to myself, perfect, I’ll talk about an already trending topic and also talk about my niche. I made a video and a post about Elon’s podcast with Joe Rogan, how controversial it was, and then went into artificial intelligence and eventually was able to tie back into my brand. Needless to say, I got more traffic than I usually do after releasing the video and article. You can see which topics are trending with a certain niche. Not only that, you can see how many social shares it has on various social media websites. This way you will know if the topic you’re about to write for is something that people are interested about. Once you find a post that you like, take the ideas, remix them, and write about it. You can even link out to the original author and tell them that you went into-depth about one of their points and that if they like it, could they please link out to your content. Want to get ideas and see how many searches a month a certain keyword gets? Then Google Keyword Planner Tool is the choice for you. You can input a broad keyword, like ‘marketing’, and Google Keyword Planner Tool will give you related keywords and also their average monthly search volume. Not only that, if you wanted to get into SEM (search engine marketing), it also gives you important information like estimated CPC (cost-per-click) and ranking competition. This way, not only can you get ideas, but you can also get information about SEM. So in case you wanted to get more traffic to your blog post, you can buy relevant keywords to rank for. Some people like to read, some people like to tweet, and some people like to watch videos. YouTube’s Trending section is a good way to find a topic that is trending. You can do the same thing as Twitter’s Trending page. You can find topics and somehow relate them back to your niche. Even better, the comments section of YouTube is usually jam-packed with market feedback. So if people in the comments section are saying that something wasn’t talked about, then you can write about it (or even make a video about it too). Figure out who is in your niche and check to see if they have YouTube channels. If they do, subscribe to them and watch their videos. There have been countless ideas that I got from just watching videos from Alex Becker, Tai Lopez, GaryVee, and many others. I would connect something that was said in a book with what the influencer says and remix the ideas to create a new one. You can do the same thing. Follow relevant people and watch their content every once in a while. Not only will you get ideas, but you’ll also be on top of what’s trending in the marketplace. Who are some competitor blogs? 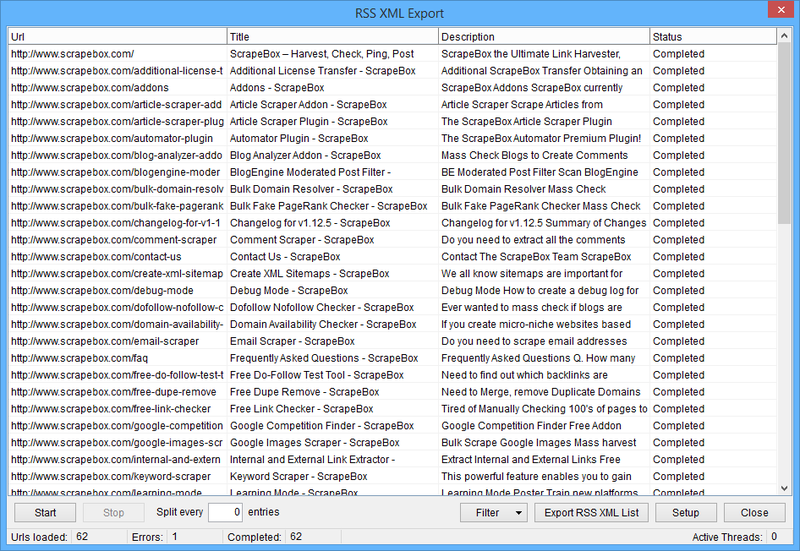 Go bookmark their site or even better yet, if they have an RSS feed, subscribe to it. Go read their content. Get some ideas flowing and remix them. You can also check to see what are some of their better performing content pieces and see if you can make them better by adding something extra, such as more infographics, on the post. This way, not only are you doing competitive analysis, you’re also letting your competitors do all the hard work to figure out which topics are worth talking about and you just make their good posts even better. 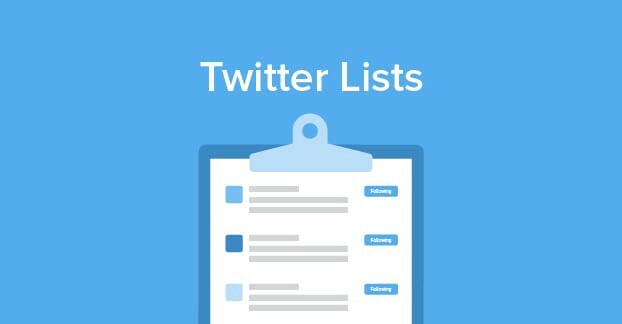 Twitter Lists: Go follow people on Twitter that are relevant to your niche and put them in a list. Twitter Trending: Check to see if there are any trending topics that you can write about. Google Trends: Check to see what’s trending on Google and see if you can make content for it. 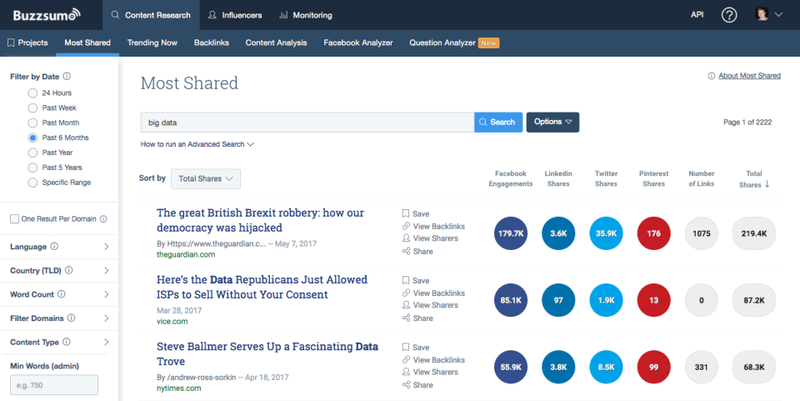 Buzzsumo: Do extreme competitive analysis and get ideas on what to write about. 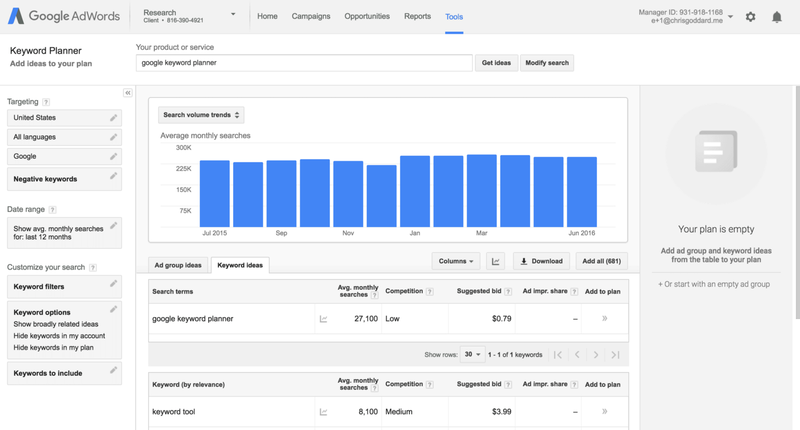 Google Keyword Planner: Find relevant keywords to your niche and get important SEM information as well. YouTube Trending: Check to see what trending topics are people watching videos for. YouTube Subscriptions: Subscribe to YouTubers who are relevant to your niche, watch their content and get ideas. Follow Competitor Blogs: Read their content, see what they’re up to, and then make their good content even better. If this post helped you come up with ideas, why not leave some claps and consider becoming a fan because I talk about how you can use technology to work smarter and get things done. Want to talk about how you can grow your blog? Reach out to me. It’s @sunnychopper on pretty much every social media platform out there, even Xbox Live. Don’t worry, no strings attached and no sales pitch. I just enjoy talking about stuff like this.